(活动已结束) 赢取马尔代夫双人旅游配套! Win Maldives Travel Package for 2! B Infinite members to spend or redeem any transaction at any of the participating merchant outlets / via mobile app (full/partial) to get 1 entry. Any spend or redeem (full/partial) transaction performed at 7-Eleven outlets will entitle to receive 3x entries. In addition, any spend or redeem (full/partial) transaction performed at Caltex stations will entitle to receive 5x entries. The more entries, the higher the chance to win prizes (first prize/second prize/third prize/consolation prize). 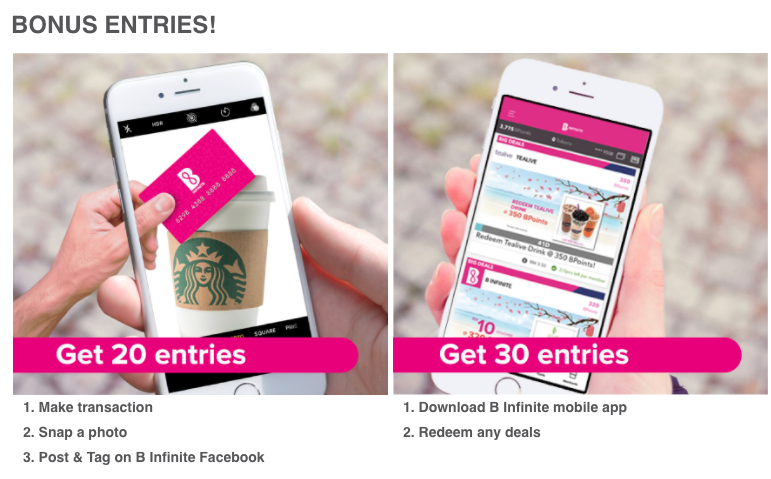 B Infinite members can participate in the monthly activity to earn extra entries and stand a chance to win in the monthly BPoints giveaway. Every spending and redemption transaction entries, and extra entries from the monthly activity will be accumulated by end of the campaign. B Infinite members will also entitle 2x BPoints at Caltex station during Caltex Happy Hour – every Monday to Friday, 1pm to 5pm, during the contest period. The contestants must adhere to the mechanism of the contest as may be briefed and communicated to the contestants by the Organiser during the contest period. 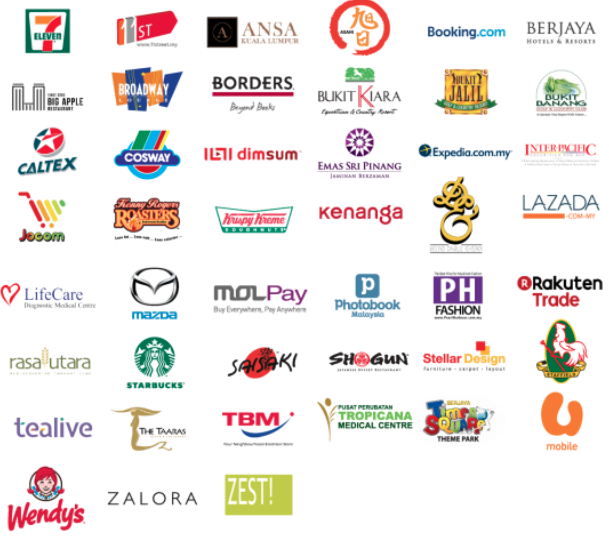 * For every spending of RM3 @ 7-Eleven outlet will entitle 1 BPoint. Purchases of tobacco, tobacco related accessories, in-store services and reload purchases at 7-Eleven are not entitled for contest entry and BPoints. i) B Infinite Mobile App. Subject to other terms and conditions set out herein, each B Infinite member will be eligible to win a maximum of one (1) prize (as described below) throughout the Campaign Period. * Exclusive for Caltex JOURNEY™ members – should the member be selected as the Contest First Prize, Contest Second Prize and Contest Third Prize, the member will be entitled to additional RM 5,000 in cash as additional prizes.